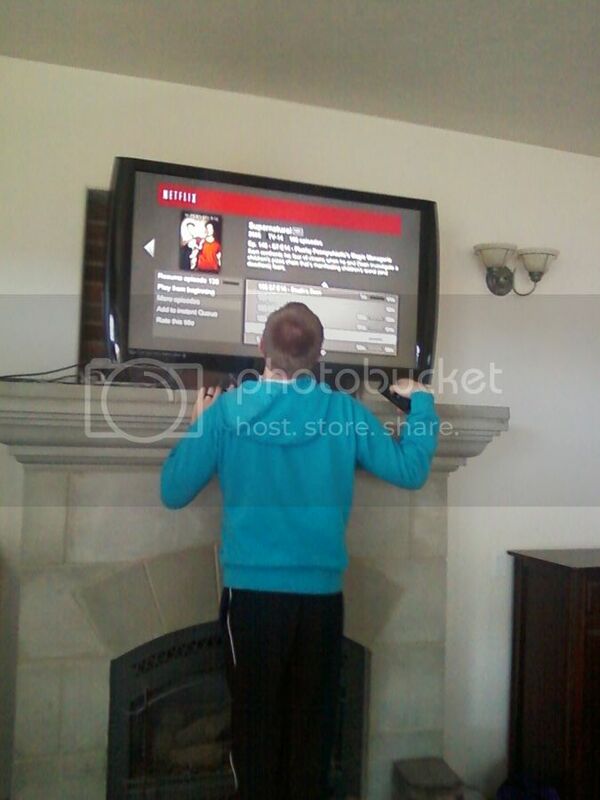 You know how a lot of little kids will sit super close to the TV? Want to see how this transfers into adulthood? to necessitate getting close to the television--changing the channel! Or, in this case, choosing the correct episode of Supernatural to watch on Netflix. There are many stories of Bradley sitting freakishly close to the television as a child. This is a good thing, believe me.